By 1946, Soviet designers were impressed by the Rolls-Royce Nene engine. Soviet aviation minister Mikhail Khrunichev and aircraft designer A. S. Yakovlev suggested to Premier Joseph Stalin the USSR buy advanced jet engines from the British. Stalin is said to have replied, “What fool will sell us his secrets?”. However, he gave his consent to the proposal and Mikoyan, engine designer Vladimir Klimov, and others traveled to the United Kingdom to request the engines. To Stalin’s amazement, the British Labour government and its pro-Soviet Minister of Trade, Sir Stafford Cripps, along with his aide Harold Wilson (later to become Prime Minister! ), were perfectly willing to provide technical information and a license to manufacture the Rolls-Royce Nene. The engine was reverse-engineered, produced as the Klimov RD-45, and subsequently incorporated into the MiG-15. Rolls-Royce later attempted to claim £207 million in license fees … they are still waiting! The arrival of the MiG 15 on the Korean peninsula during the Korean War took the United Nations by surprise. All of the UN fighters and bombers were totally outclassed by this aircraft. It was not until the arrival of the early models of the North American F-86A Sabre that the balance was redressed. I’m sure that the UN wanted to say a big thank you to Stafford and Harold! 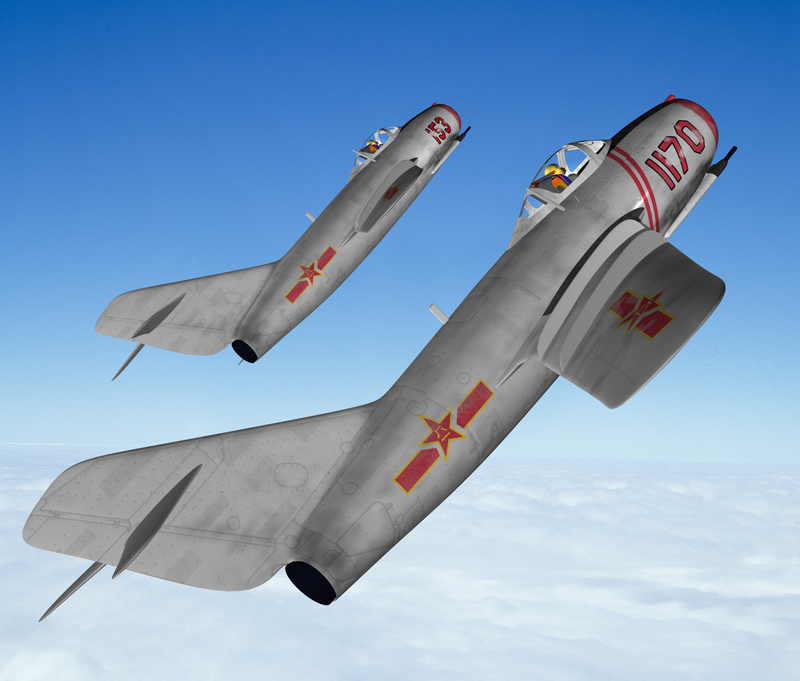 Depicted here are two MiG 15s in DPRK Air Force markings. Although never officially acknowledged, the pilots were most likely to have been either Russian or Chinese.